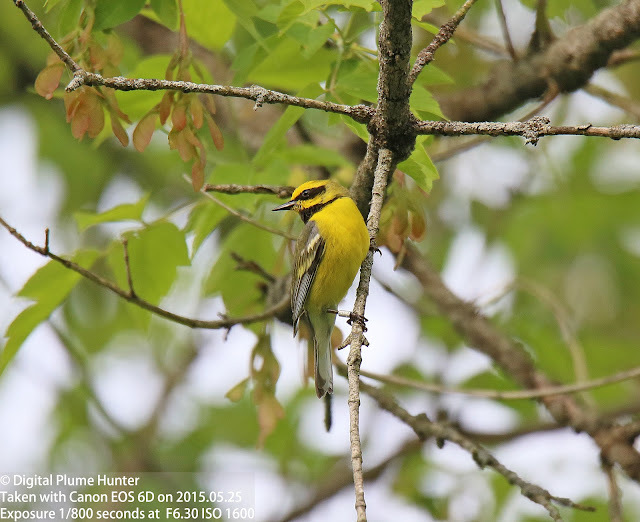 Is there no justice in Birding? 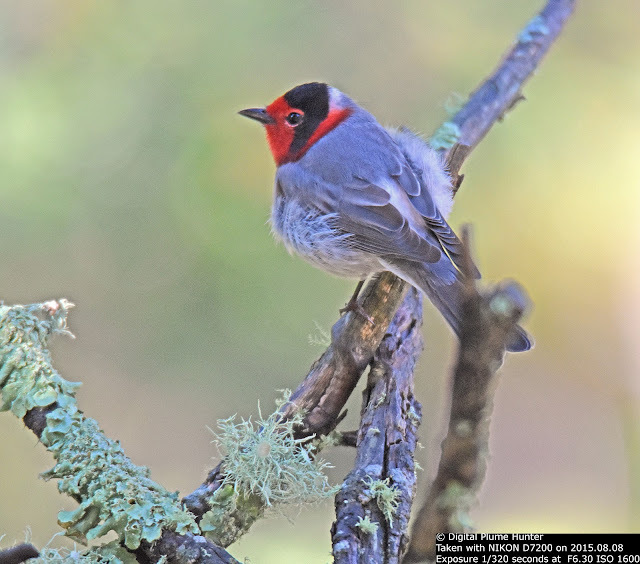 Woeful is the birder who returns empty-handed with naught but barren tidings from a chase or excursion that commenced with bright and cheery hopes sprung from the fertile soil of optimism. There are no guarantees in birding; no "reap as you sow" law -- good effort expended does not necessarily yield reward reaped. 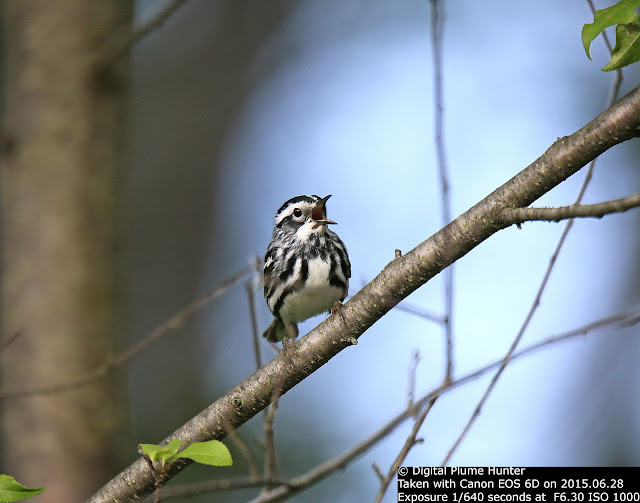 Occasional despair, it must be freely admitted, shall not be unfamiliar in the travails of the indefatigable birder. 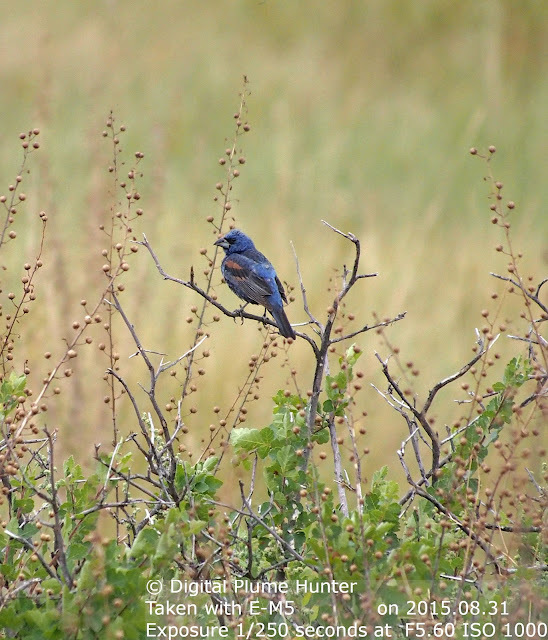 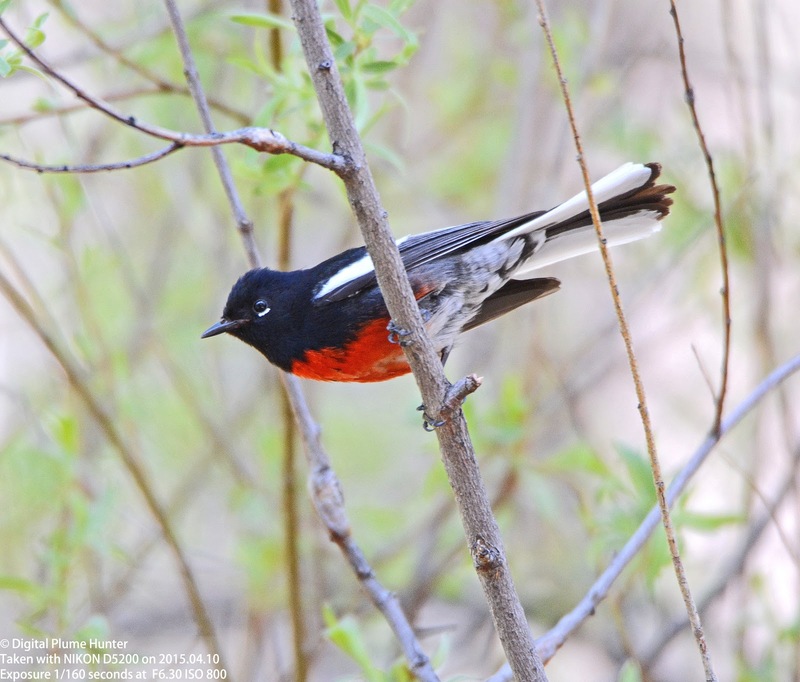 Yet, birding is also a great redeemer -- in seemingly random acts of good fortune, ordinary days sometimes blossom with sightings -- thanks to bountiful quality and quantity of desired species. 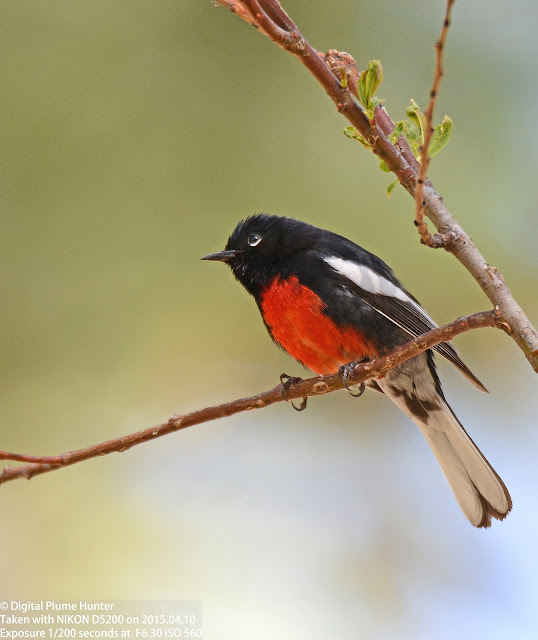 These semi-miraculous events, occurring roughly in equal measure to the days of despair and drought, compensate for all the misses and dips. 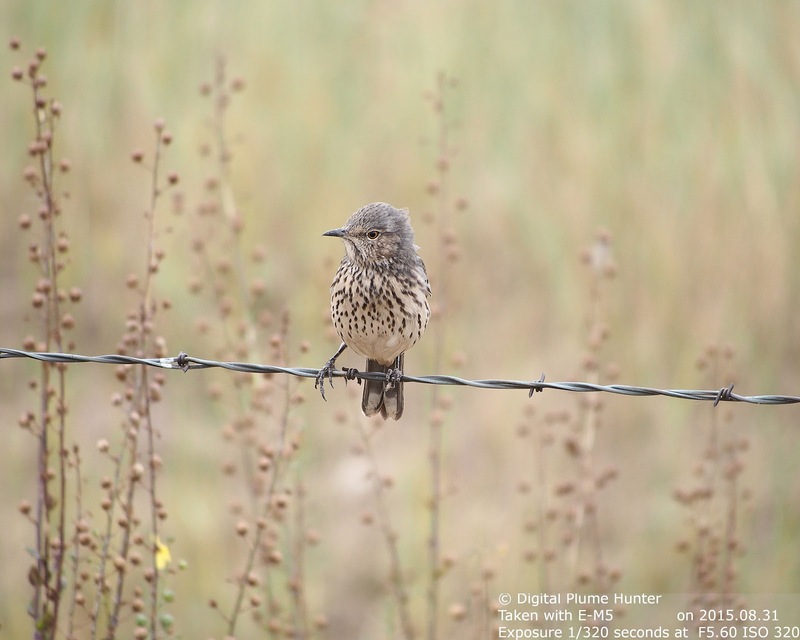 So, all in all, perhaps there is justice indeed in Birding! 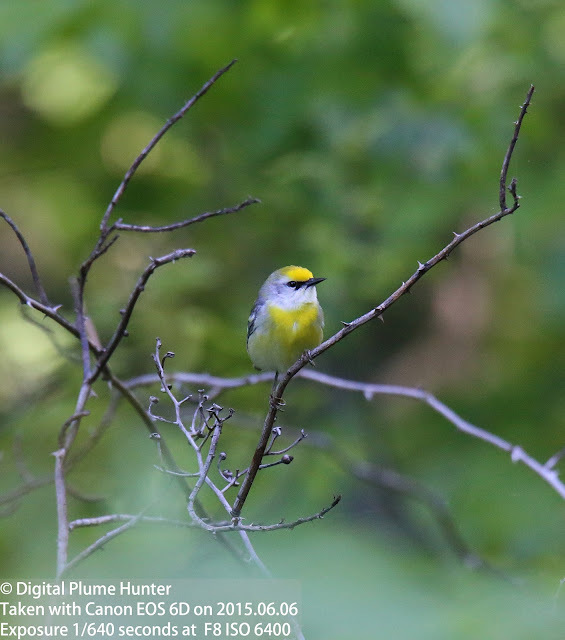 Take heart, ye brave and gritty birding soul! Having reported in this blog on many species of the distinctive New World family of songbirds that are the Thrashers -- species such as Long-billed Thrasher, Crissal Thrasher, Curve-billed Thrasher, California Thrasher, and, Brown Thrasher -- this blogger was hoping to add another thrasher (and Lifer) -- the Sage Thrasher -- to this list. 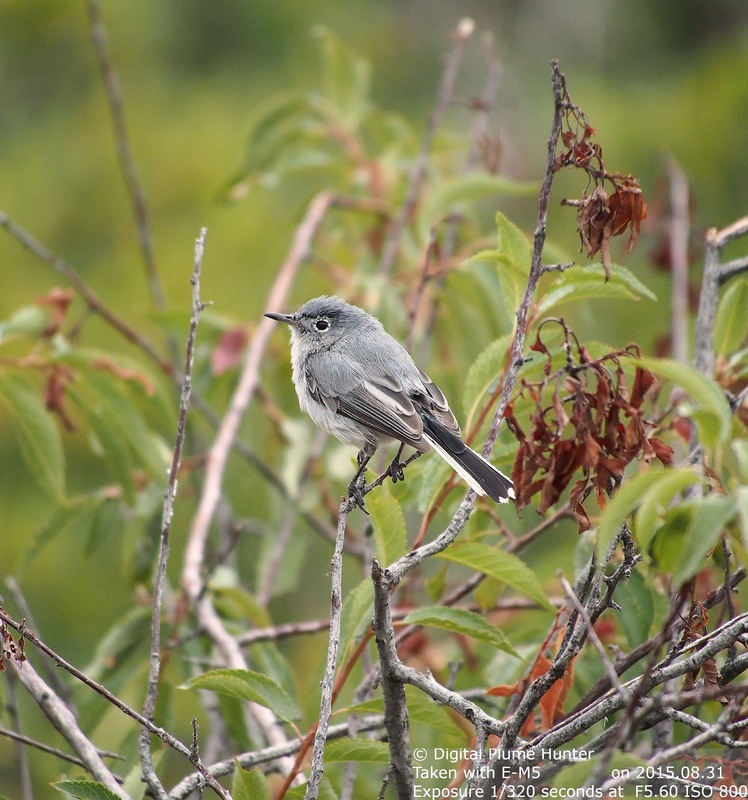 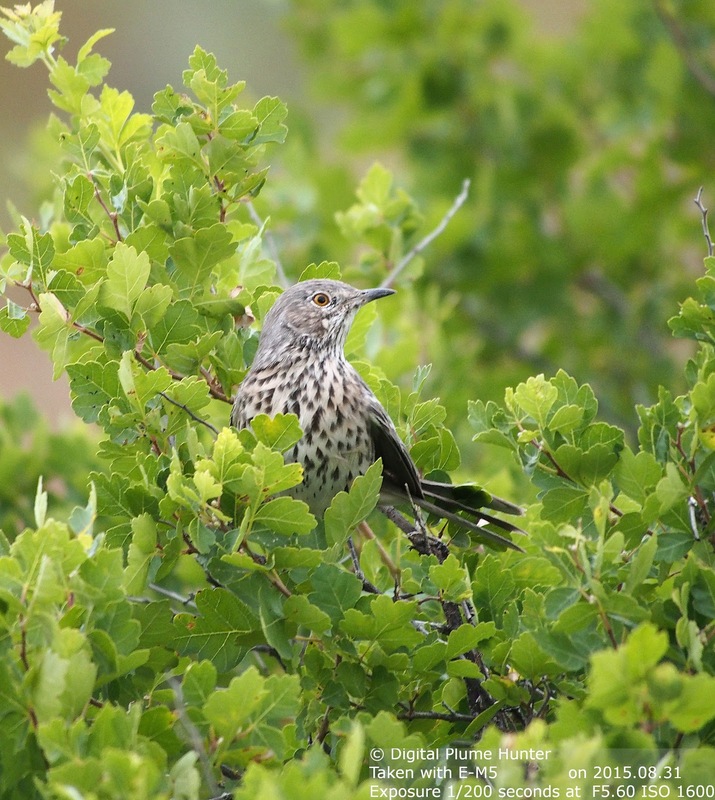 The hope for this Lifer arose as a result of a quick trip to Boulder, Colorado -- however, not one Sage Thrasher was seen -- instead, dozens were! As the old adage goes, "when it rains, the birder's cup spilleth over" ....[or something like that]. 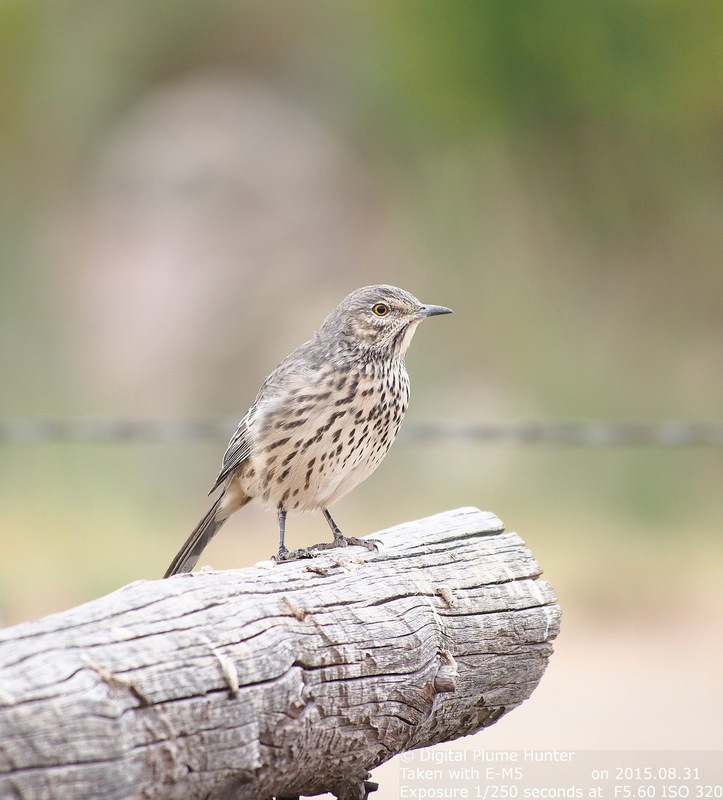 Sage Thrasher is our smallest thrasher and, like all our thrashers (but one), is found in the West. Were it not for the pronounced streaking on the breast, one could be forgiven in casual misidentification with Northern Mockingbird. 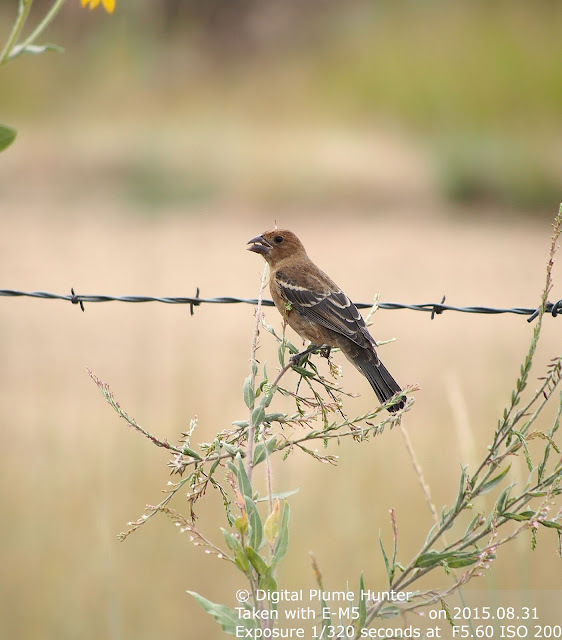 As its name implies, it is a specialist of sagebrush habitat and generally forages on the ground, feasting on insects. Next up, Bullock's Oriole -- a beautiful female was sighted feeding on seeds. 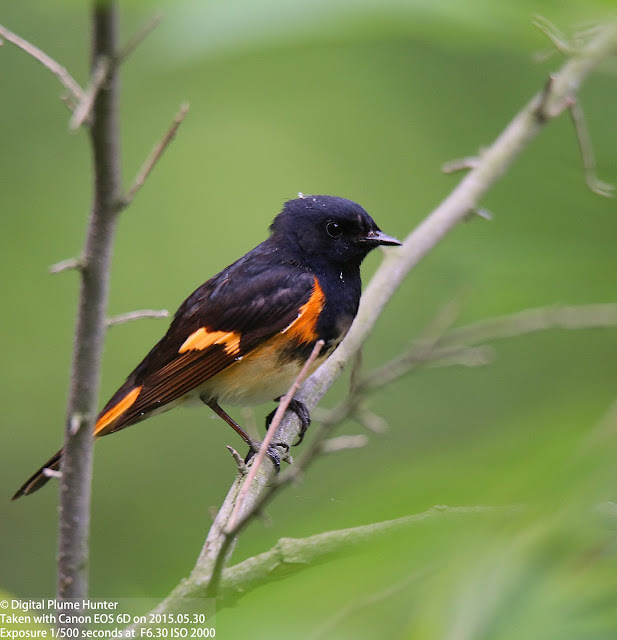 This is to the West what Baltimore Oriole is in the Eastern US. 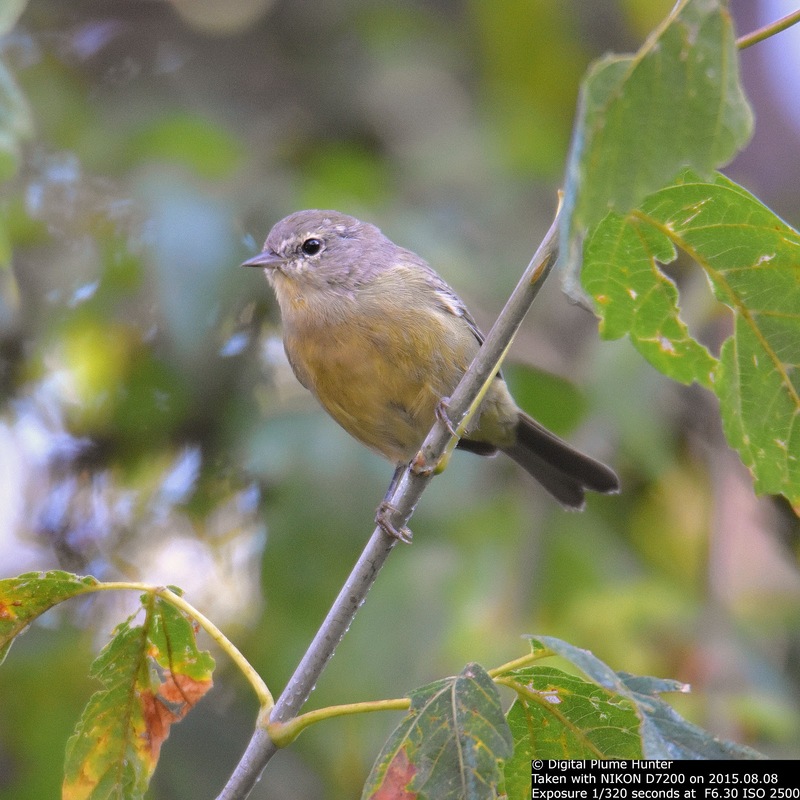 If you're wondering about the male of the species, here's one reported in this blog from earlier. 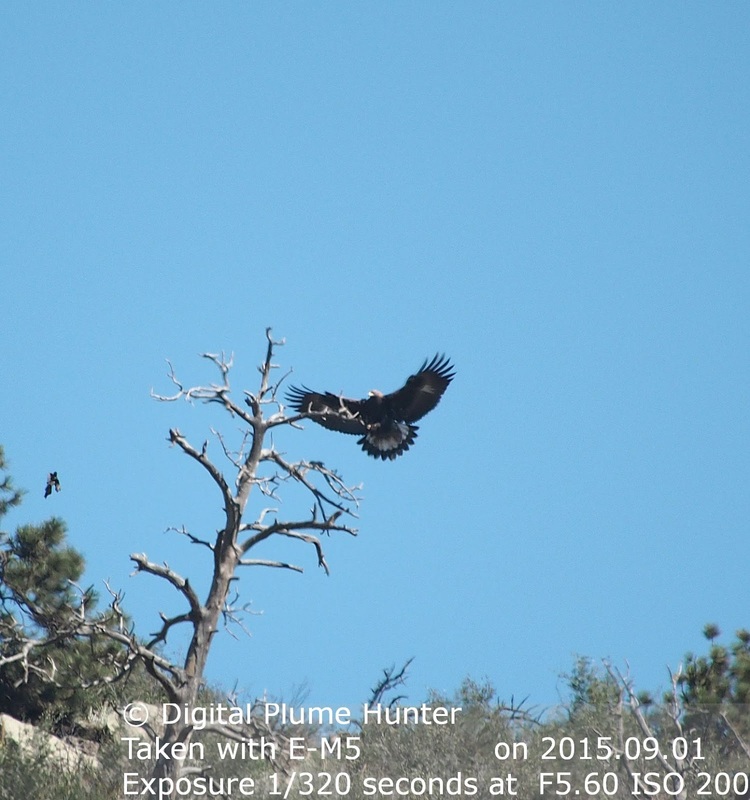 Both sexes were sighted (the female in the latter photos). This is a common flycatcher of the West. 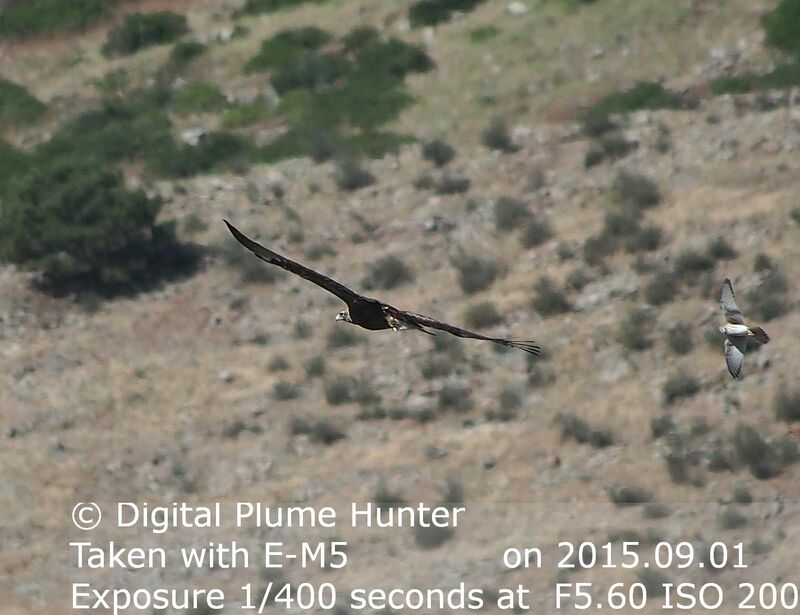 Another lifer was Golden Eagle -- although the photographic quality risks attracting criticism, it is nevertheless an imposing raptor that deserves mention in this blog. 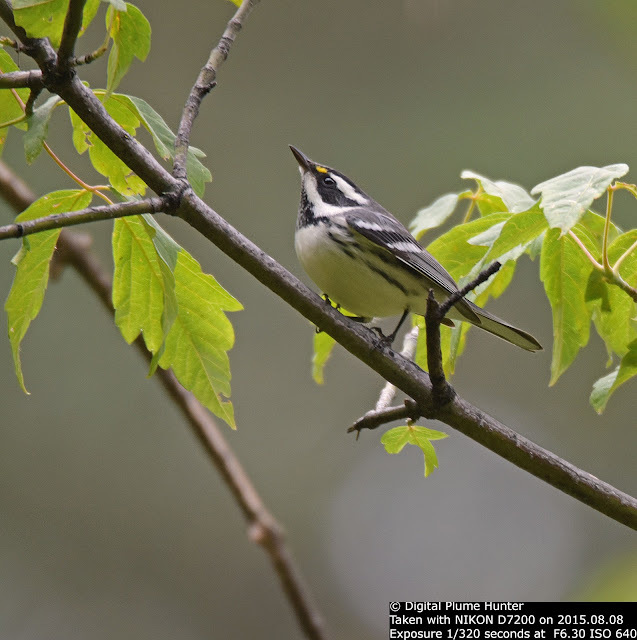 The underwing pattern implies that this is a juvenile. 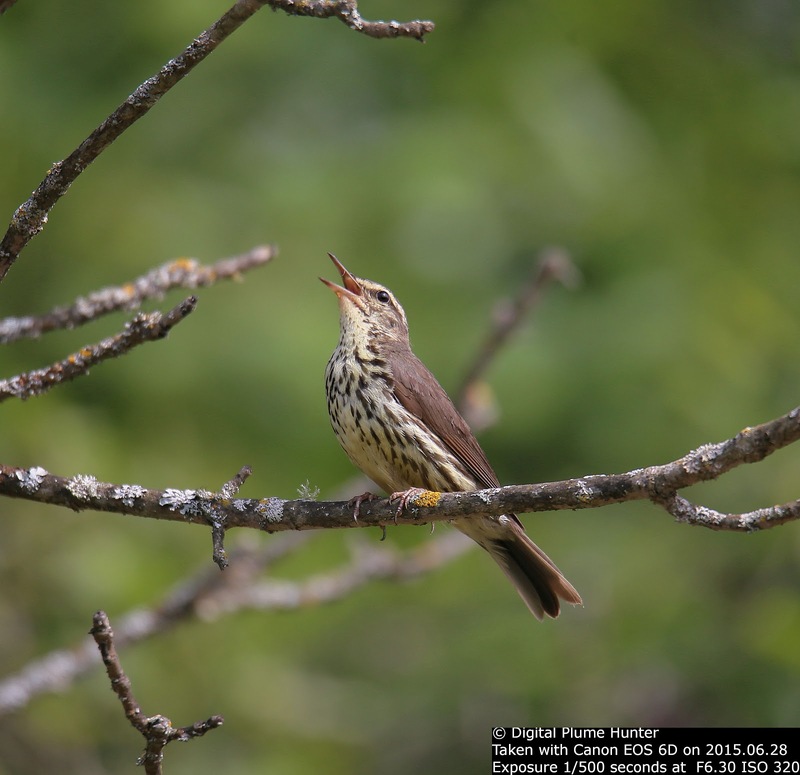 Although this post starts with a somewhat rhetorical question, those with ample experience in the field will know that every excursion, rich or poor in sightings, will offer learnings and insights to the enterprising birder. 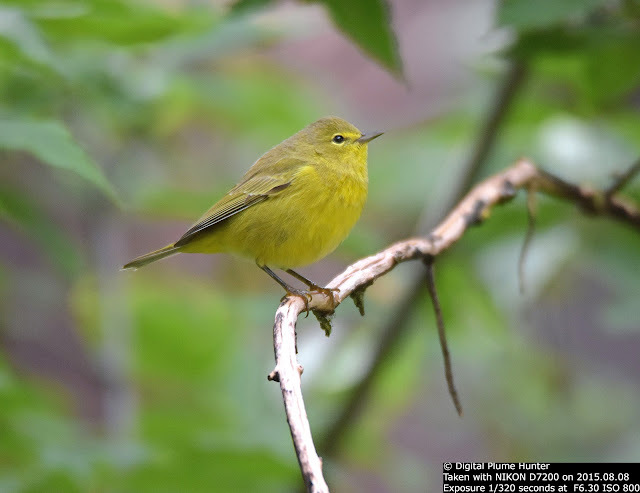 How the mighty have fallen! 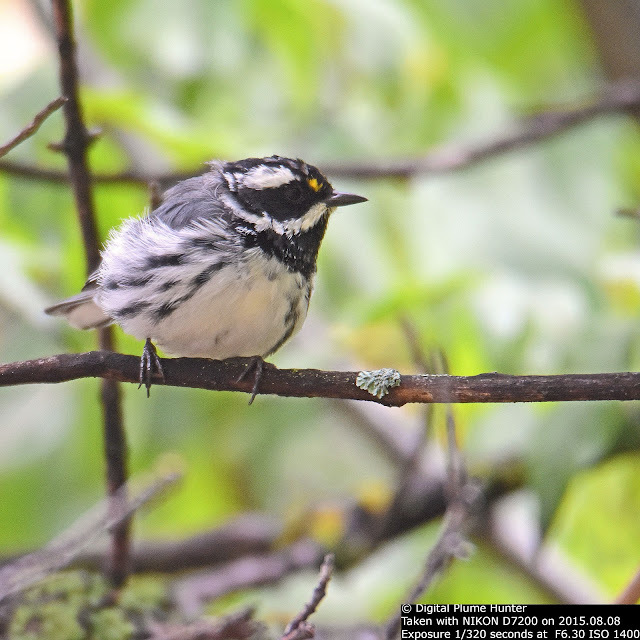 From a spectacular show in Spring that can only be described as pyrotechnics in plumes, Fall migration brings a parade of drab, chromatically-challenged warblers. 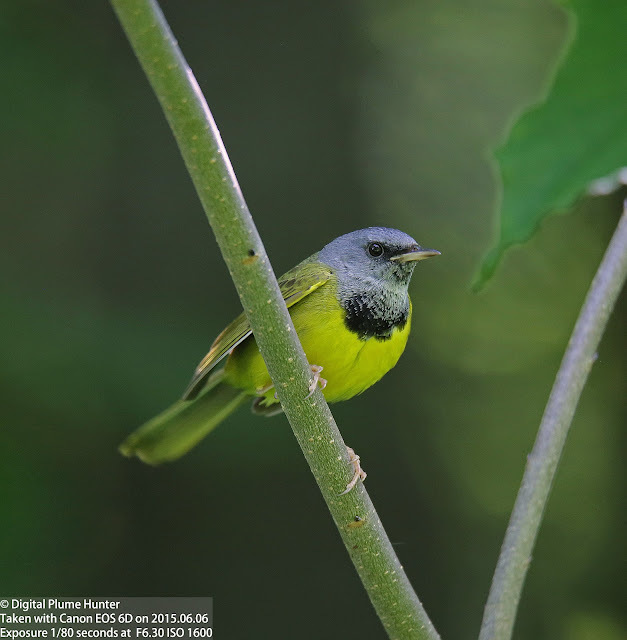 Ghosts of their past breeding brilliance; these warblers are now draped in bland tones of the inconspicuous and the cryptic -- verily, a shadow of their peak condition in Summer. 9. 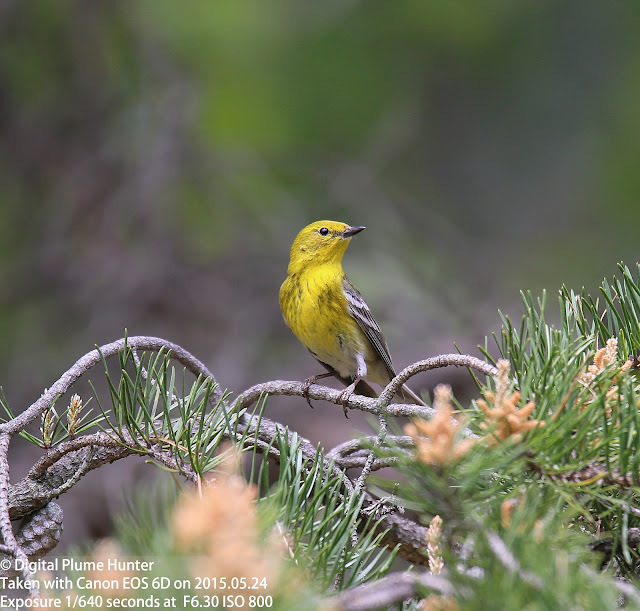 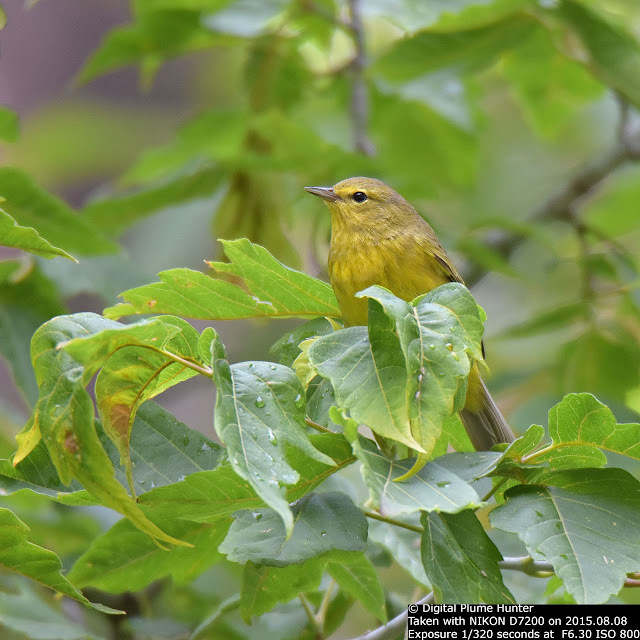 Pine Warbler -- this is a warbler we can enjoy year-round in the US. Seen at Port Huron SGA. 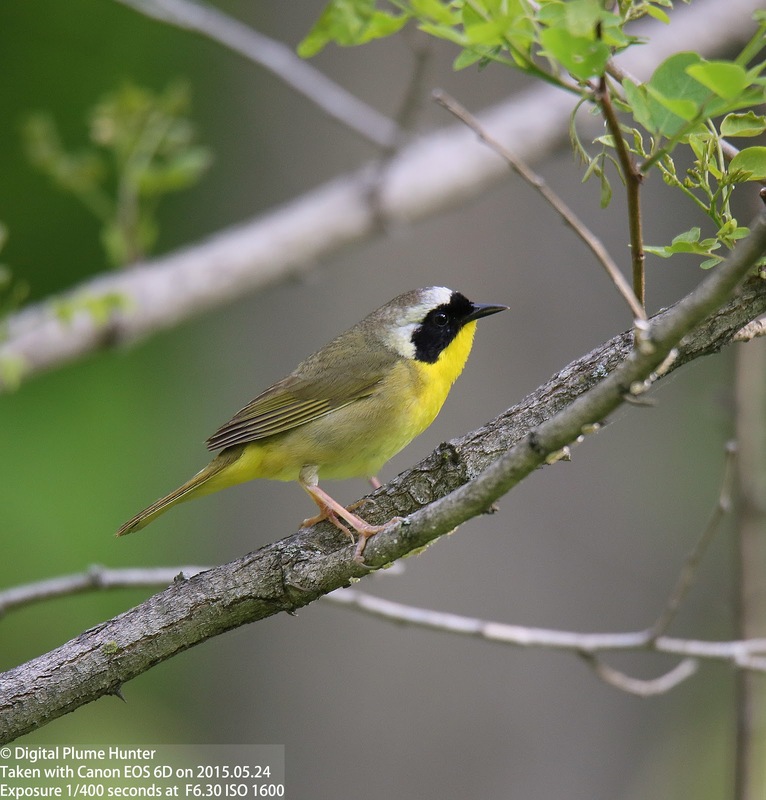 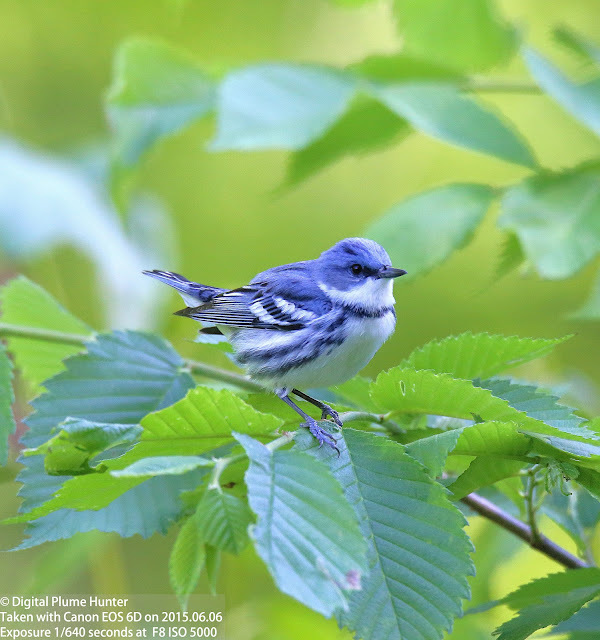 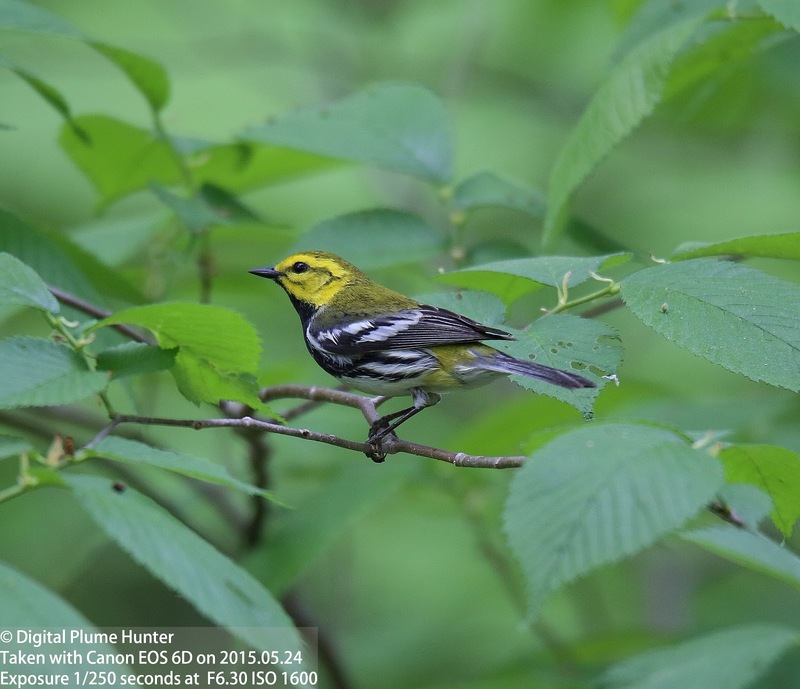 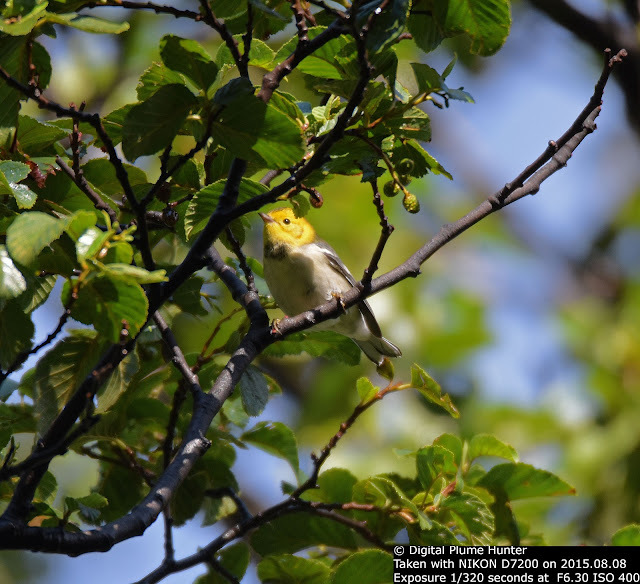 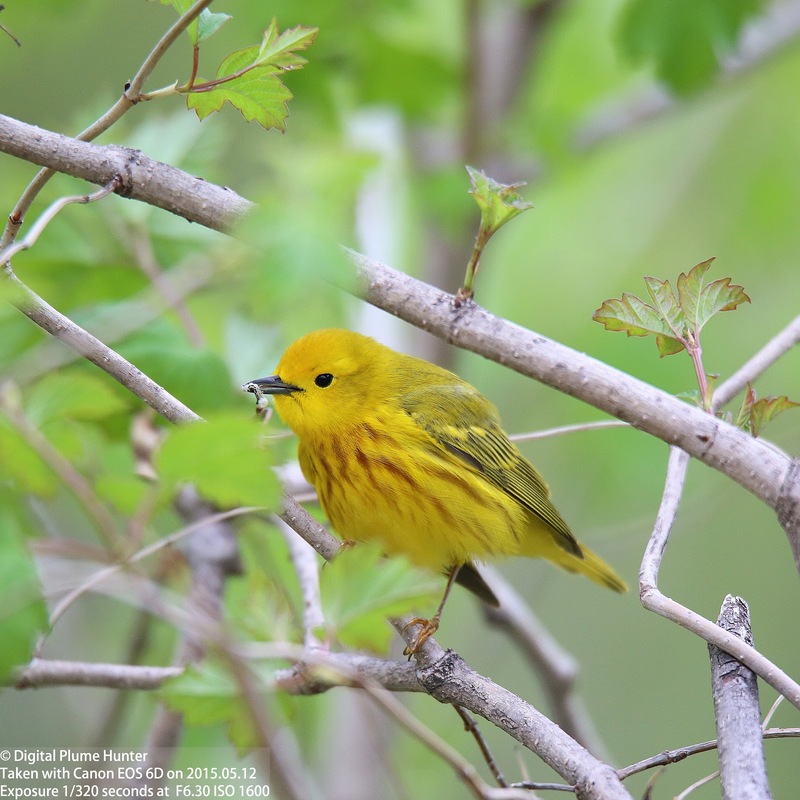 Of all our songbird species, the colorful American Wood Warblers are the "prize" that draw countless birders to our forests every Summer; and, this post, underscores 19 reasons to bird Michigan in the breeding season. 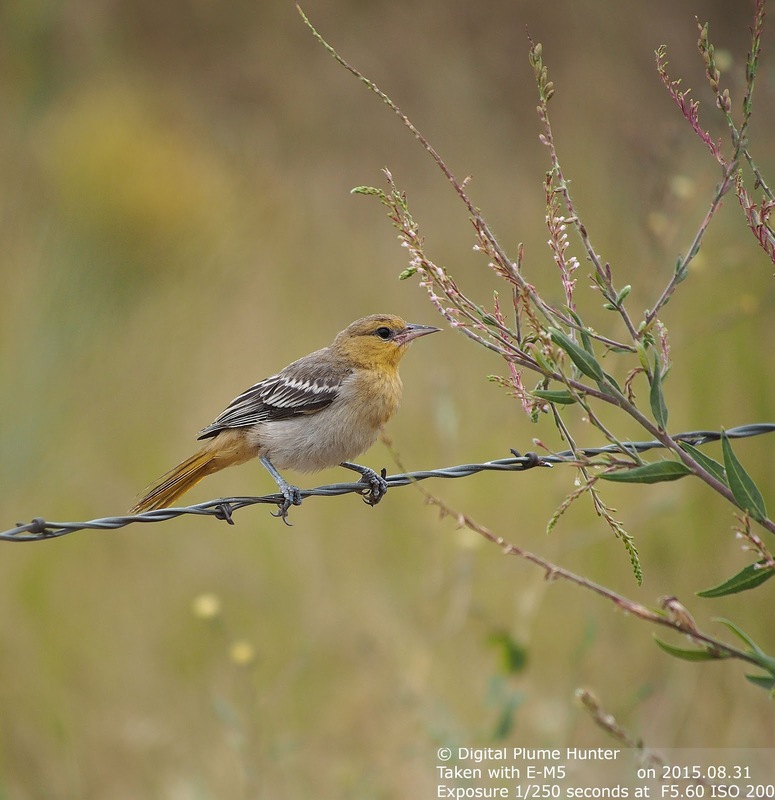 Southeast Arizona conjures up visions of saguaro cacti, arid scrubland, and deep canyons. 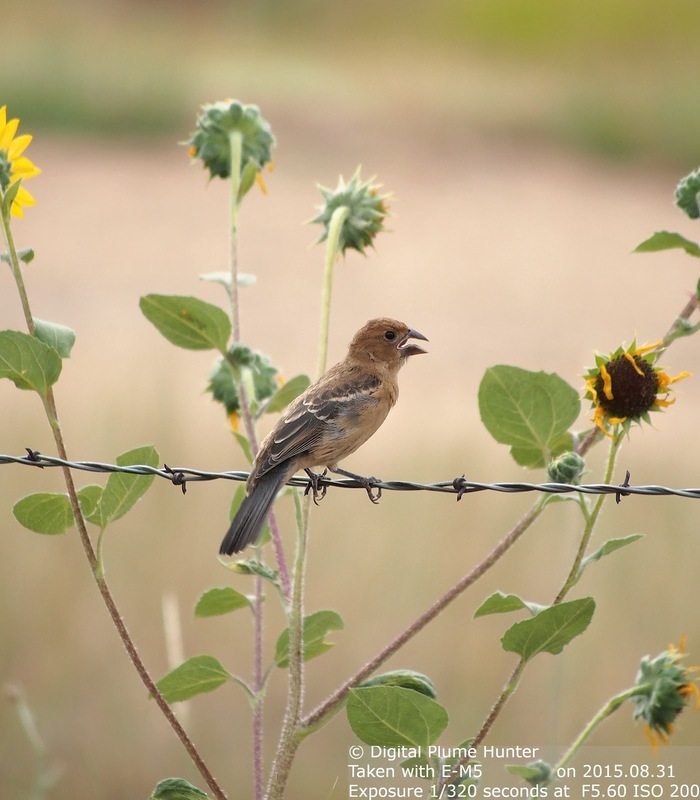 But, it is away from the dry plains, in the "sky islands" of Arizona that some of the best birding of the area may be encountered. 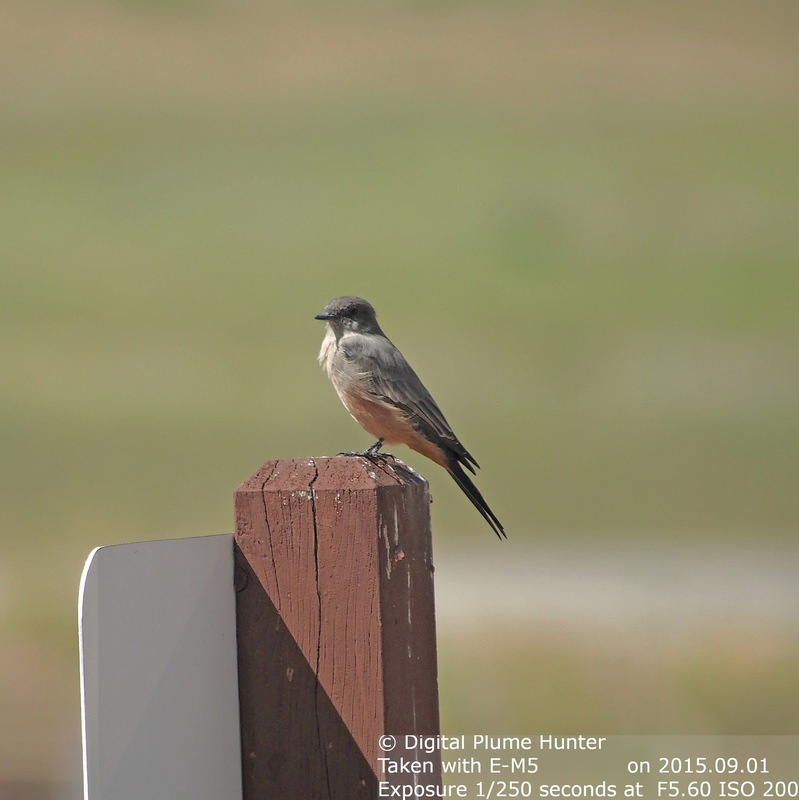 This post will, thanks to a quick trip to Mt. 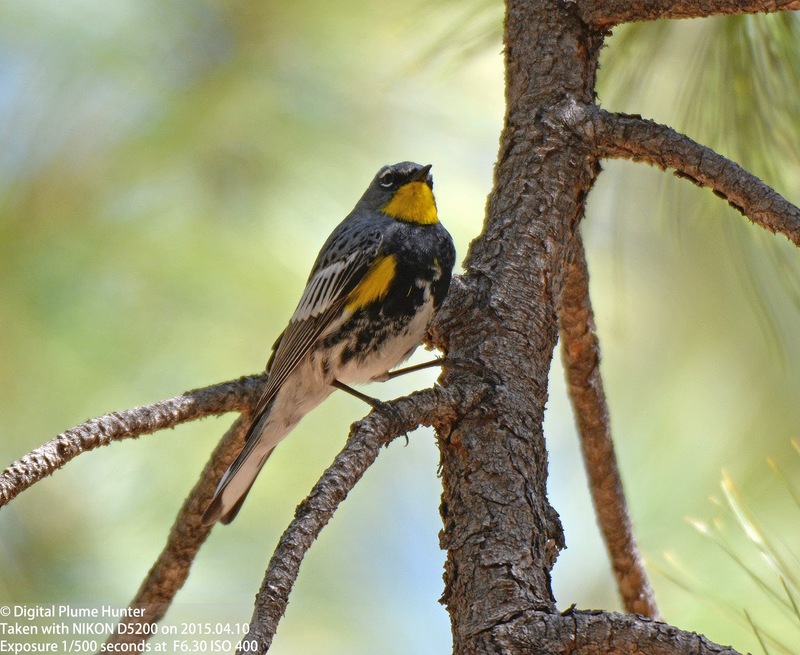 Lemmon and Madera Canyon, profile signature warblers of the Western US -- augmenting the scintillating Lady Warblers covered in a prior post. 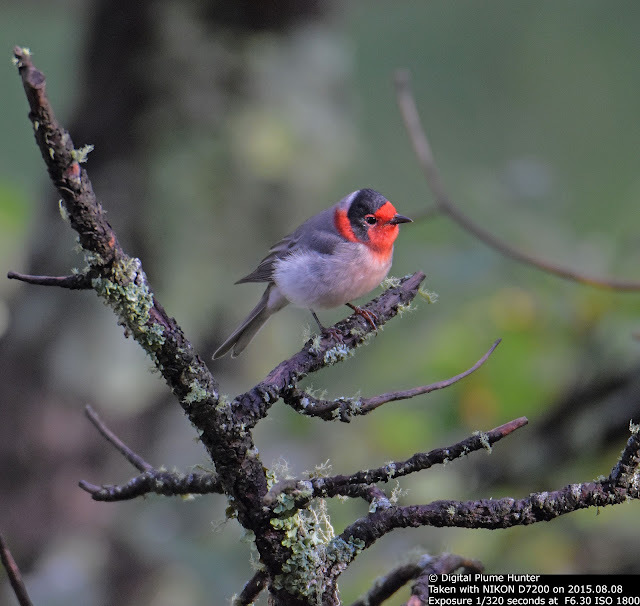 We start with Red-faced Warbler (first profiled on this blog here). 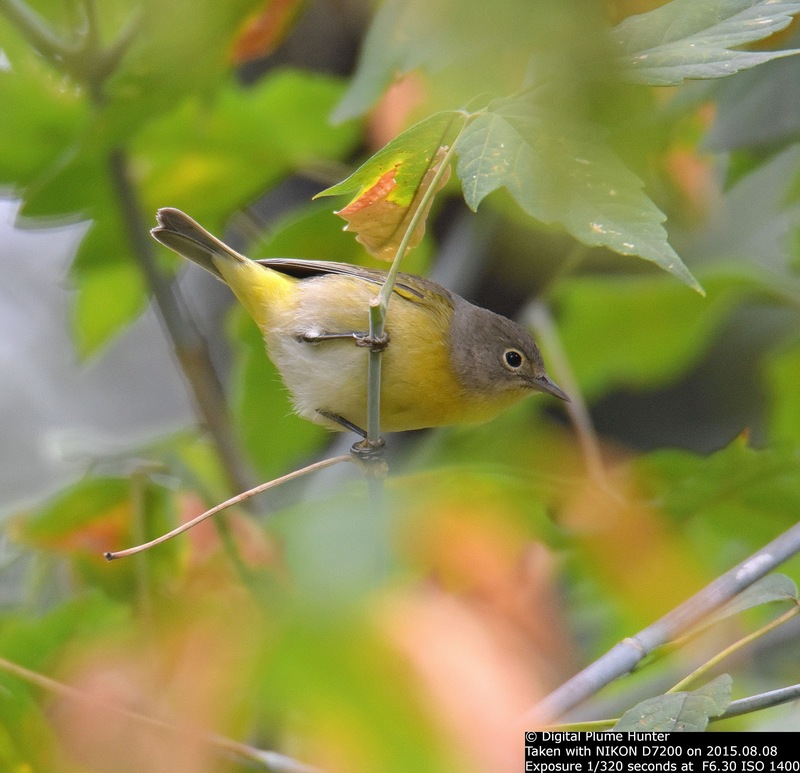 This Mexican warbler barely enters US territory in Southeastern Arizona and Southern New Mexico in the breeding season (late April through early September). 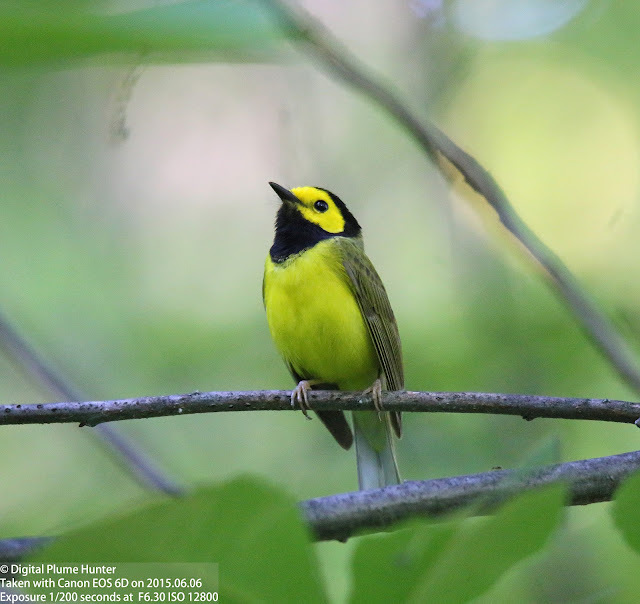 This is one of the few warblers that is not strongly sexually dimorphic -- females are just slightly duller than the males. 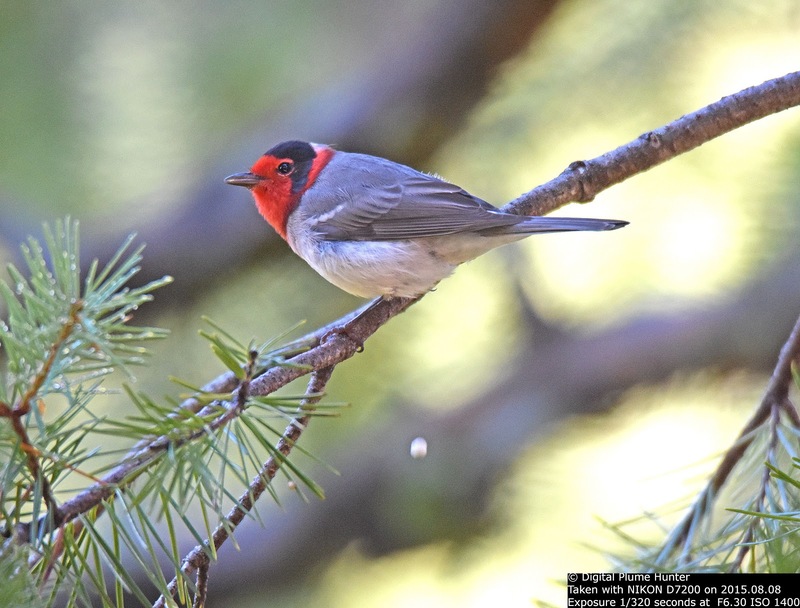 The Red-faced Warbler has a red face and head; the latter marked by a black bonnet. The back is grey and the undersides are pale. Seen in August at Bear Wallow, this individual is getting ready to migrate South to Mexico. 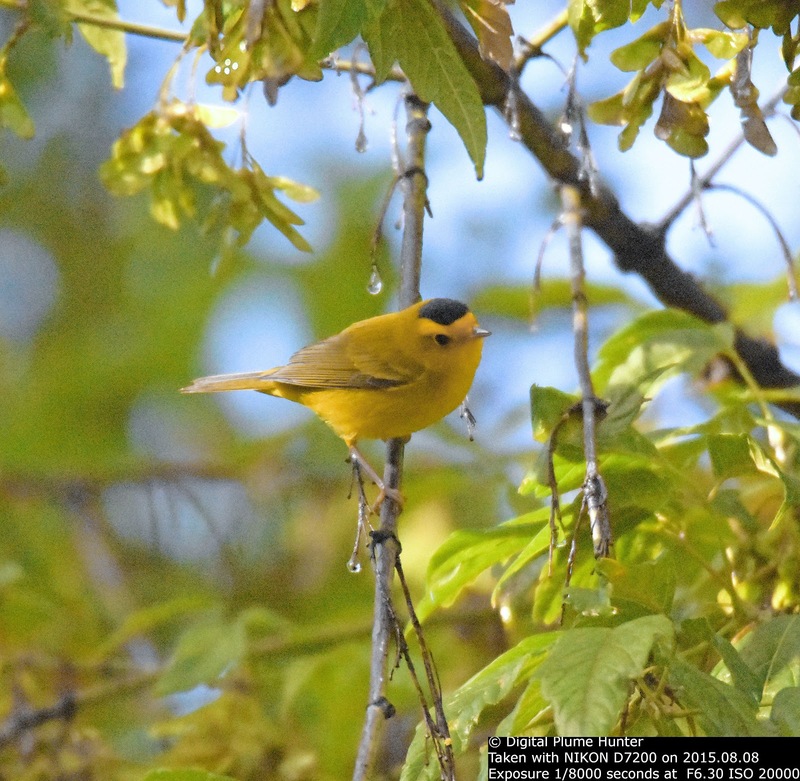 This gorgeous warbler is technically a "whitestart"; it is not related to American Redstart. 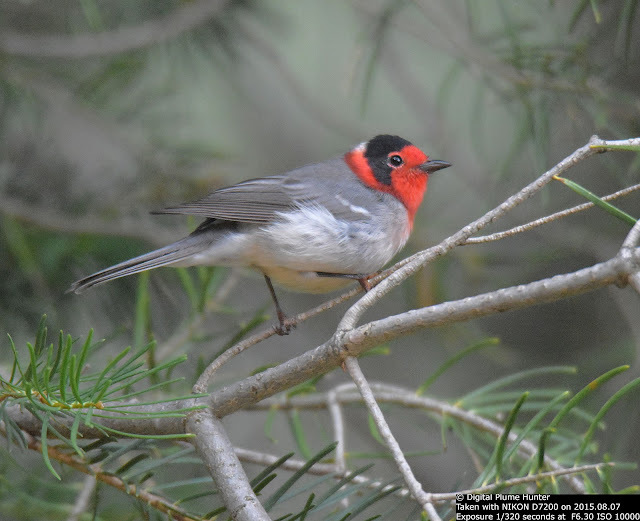 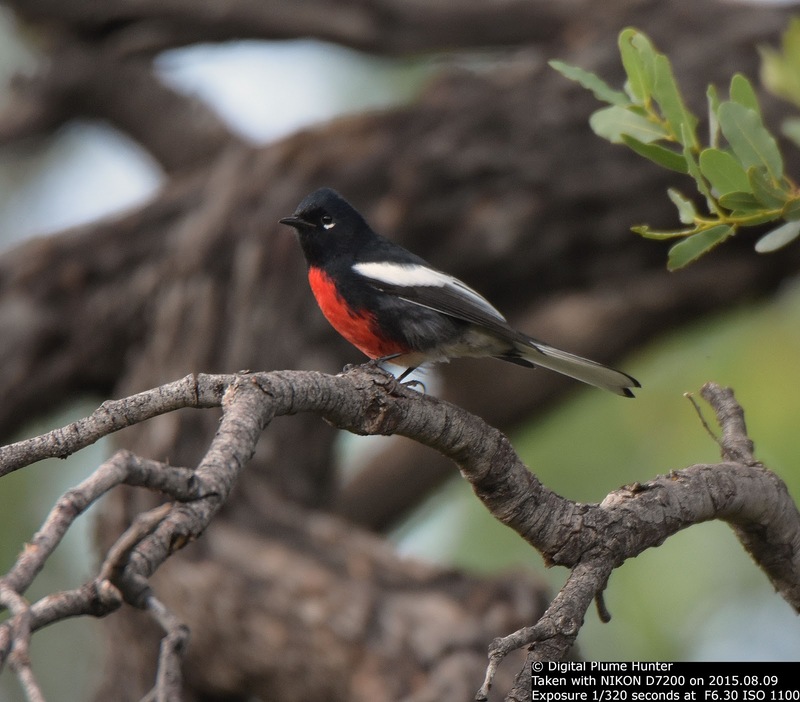 Other than the visual description, the blurb on Red-faced Warbler also applies equally to the Painted Redstart. 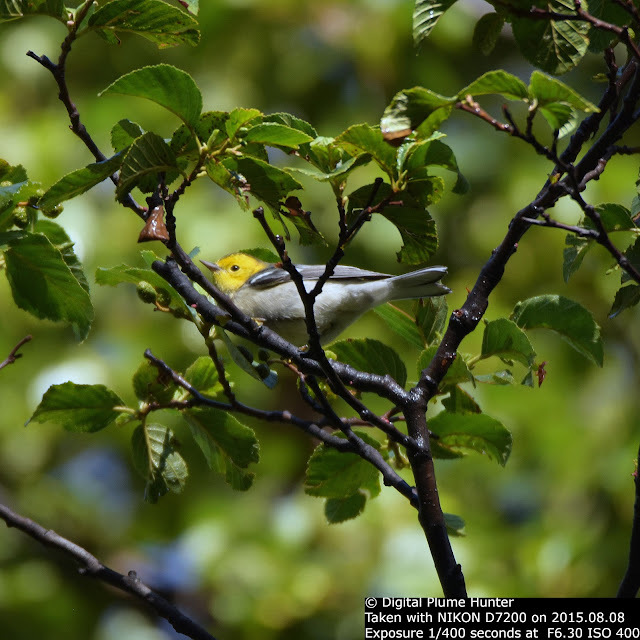 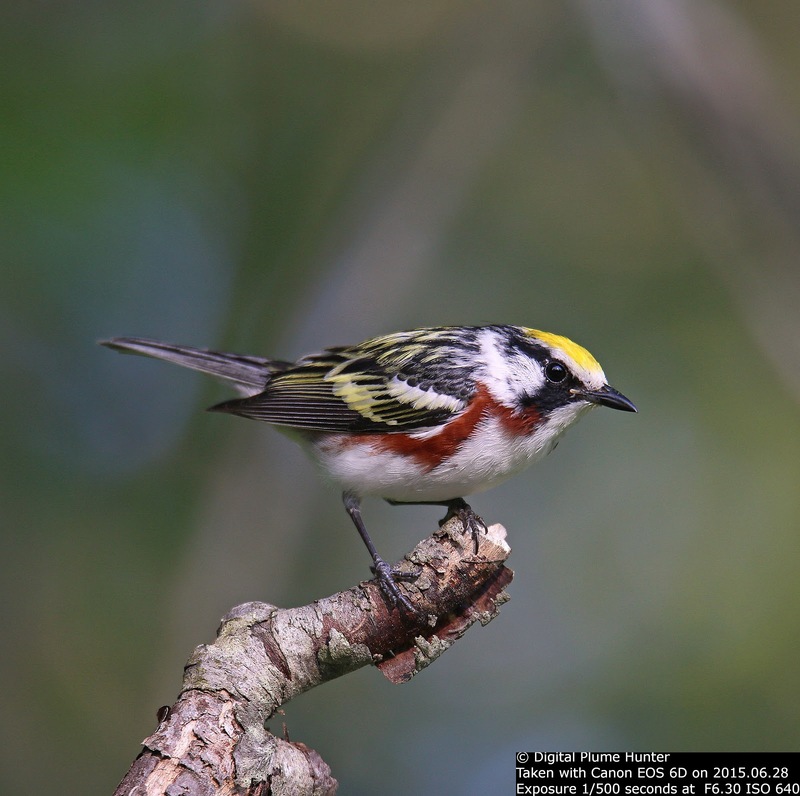 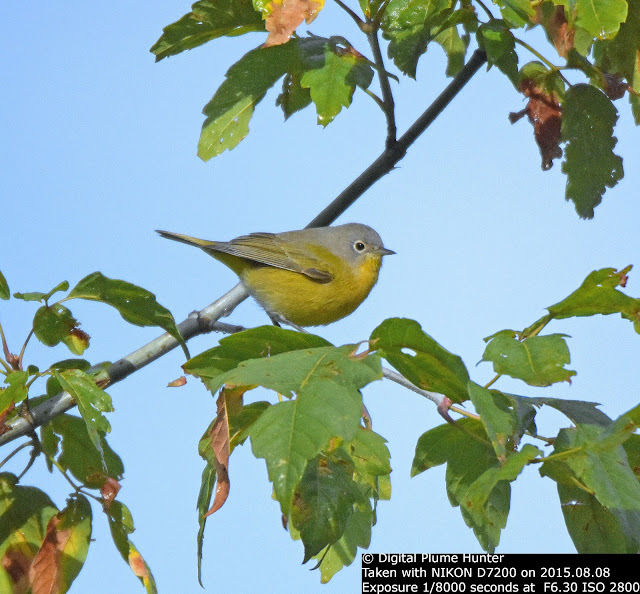 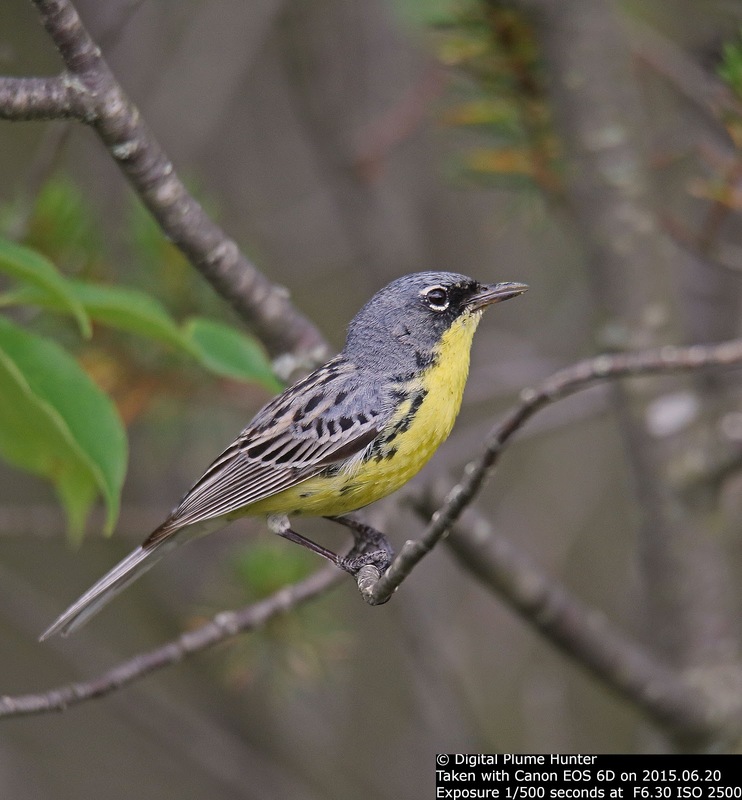 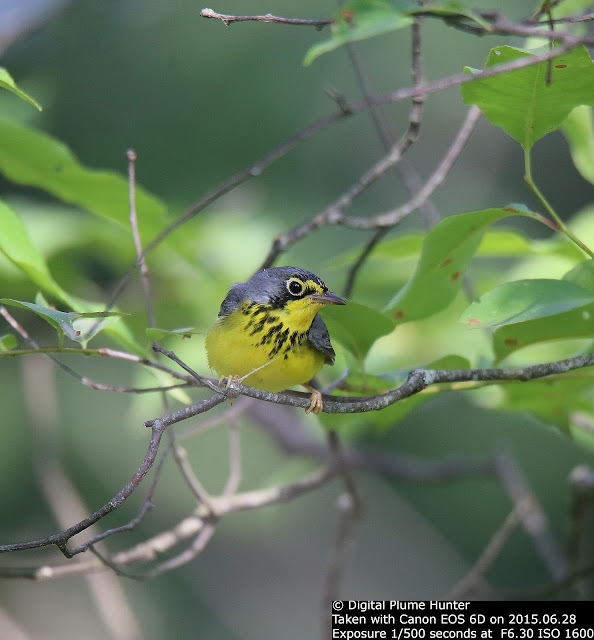 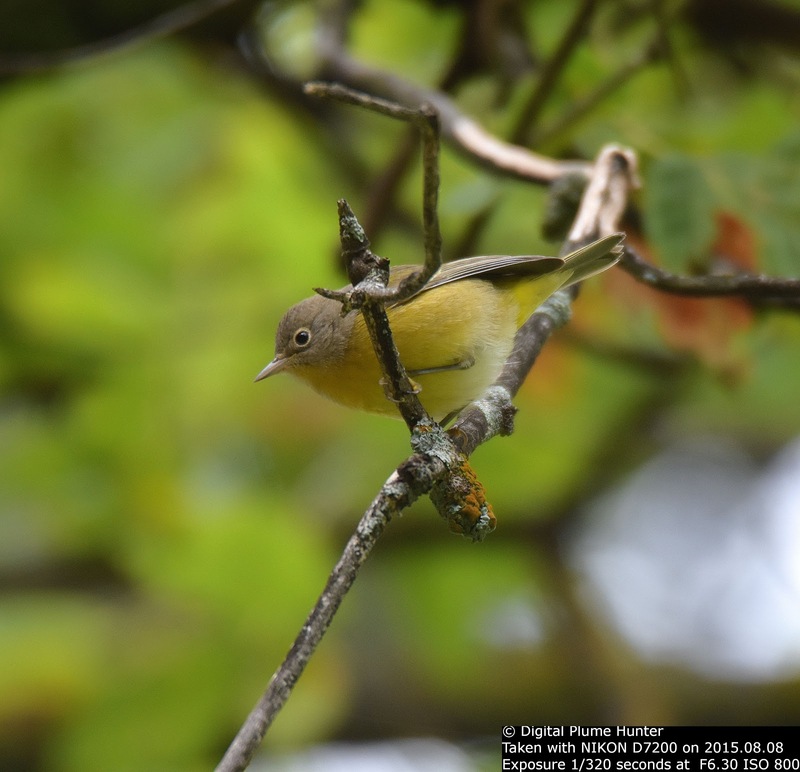 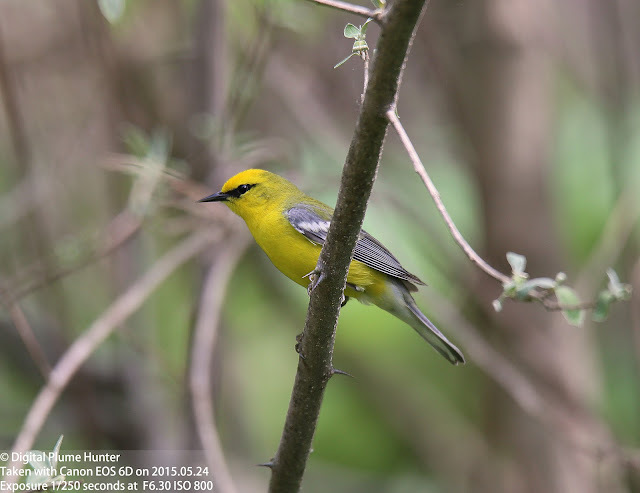 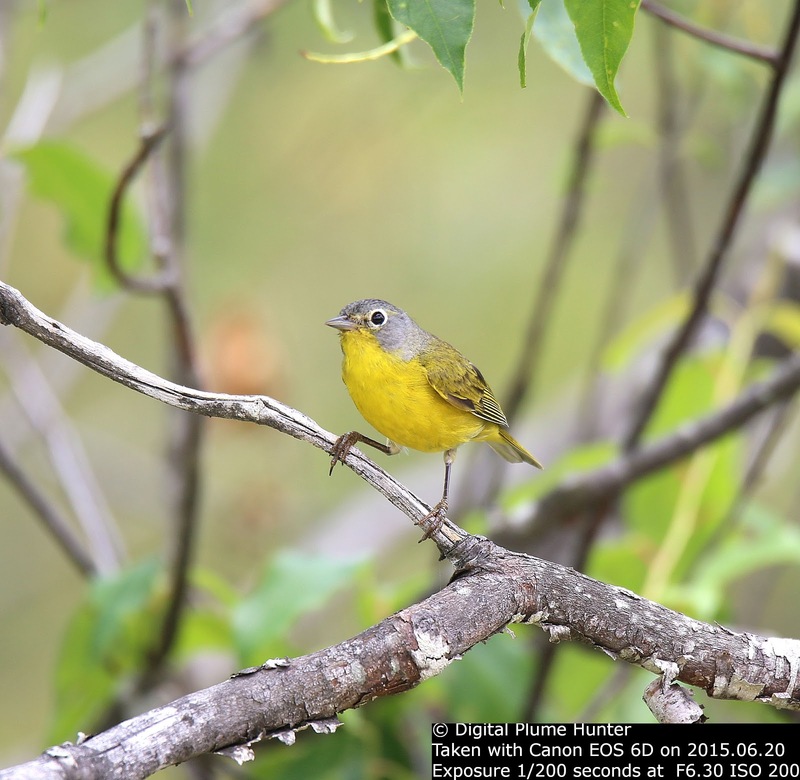 Nashville -- a warbler that is seen in both halves of the country. 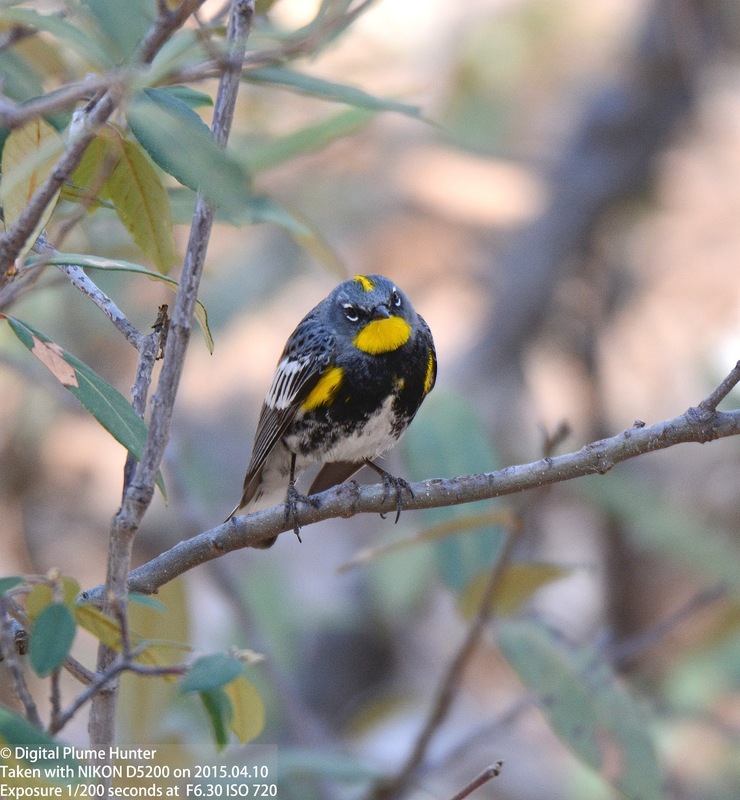 The Western race could be a candidate for a future split. 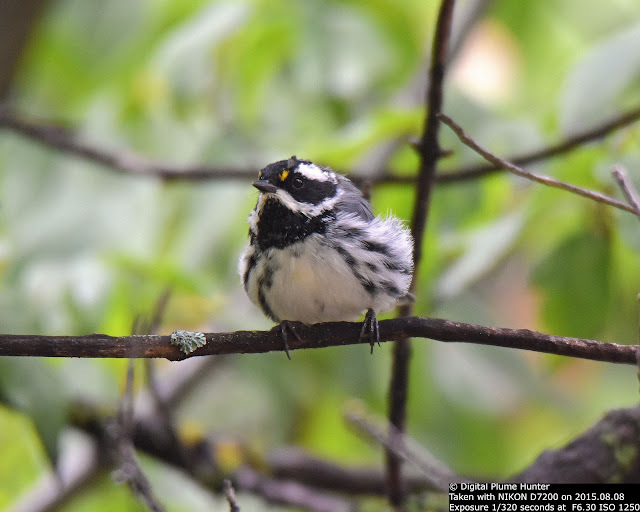 Somewhat similar to Black-and-white Warbler, the Black-throated Grey Warbler shares the same color scheme as the former with a black mask and throat; however, the latter has a grey back and 2 yellow spots -- one in front of each eye. 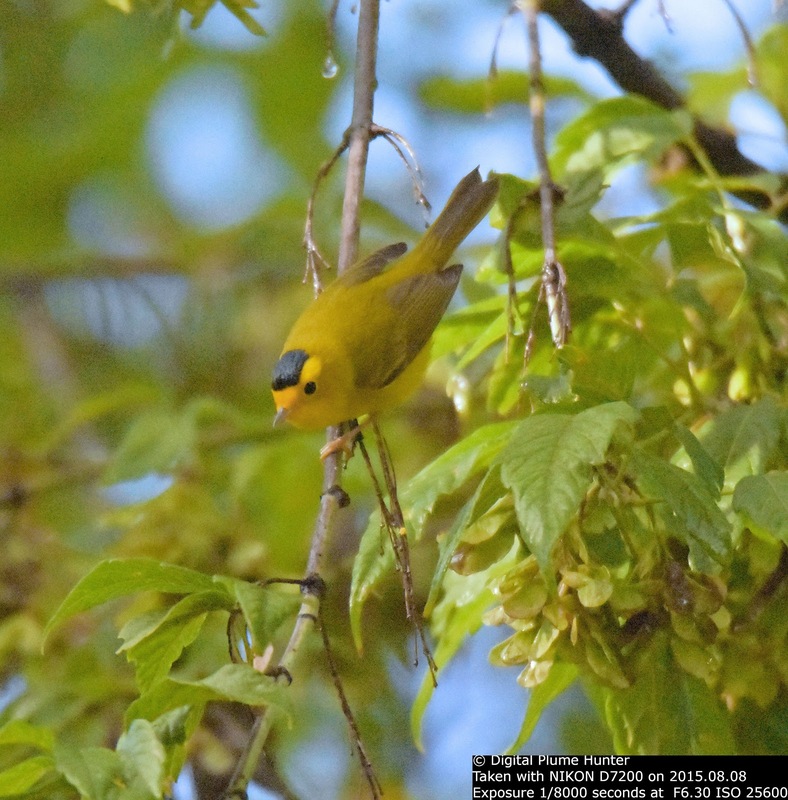 The most acclaimed songbirds of our land are surely the warblers -- no other family of songbirds are as colorful or as coveted. 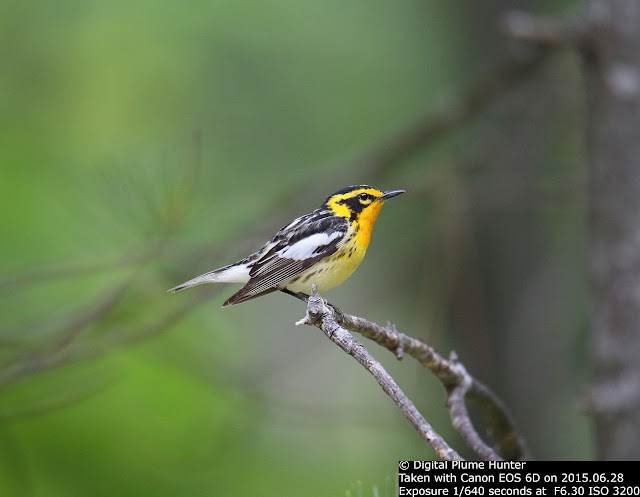 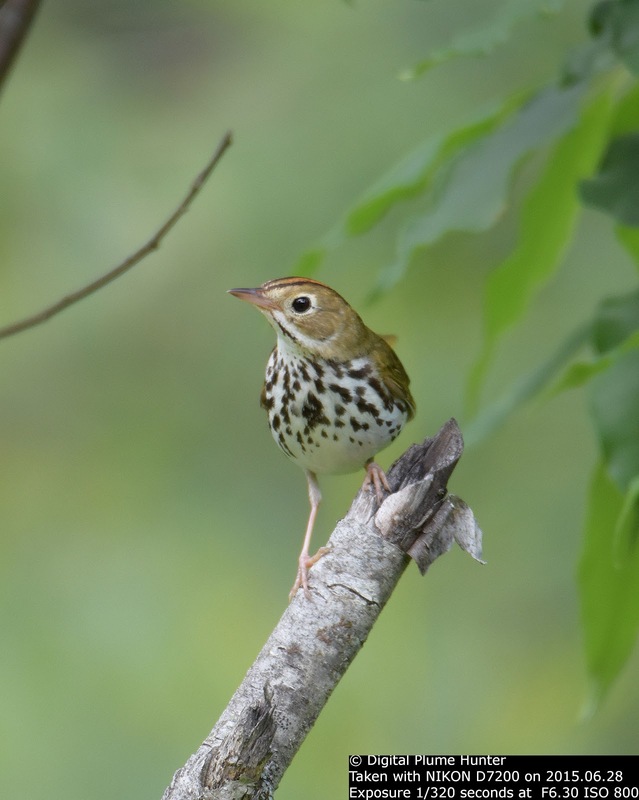 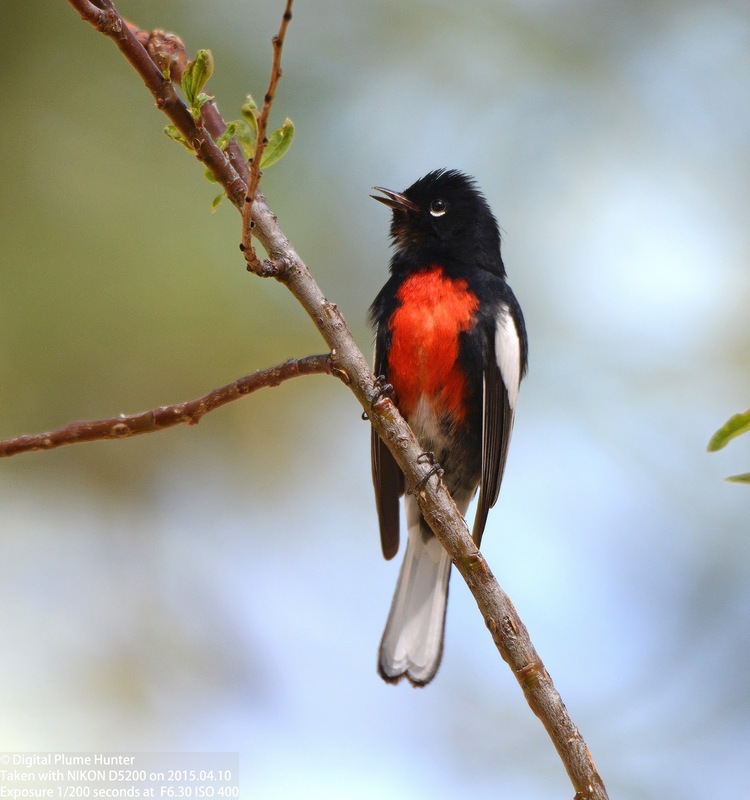 And, while it is generally acknowledged that the Eastern distribution of warblers provides greater richness, it would be a gargantuan travesty to ignore our Western warblers -- a grouping that includes red-lettered species such as the iconic Red-faced Warbler and the incomparable Painted Redstart.